Ohio—First US State to Teach “Intelligent Design”? Ohio may become the first US state to include ‘intelligent design’ in its science standards. Ohio may become the first US state to include “intelligent design” in its science standards. A lot depends on the outcome of a meeting on 11 March 2002. The meeting will not be a debate. Four panelists will address a series of questions, prepared ahead of time by the standards committee. The public is allowed to watch the proceedings, but no questions are permitted. The proposed panel includes two leading evolutionists and two advocates of intelligent design. The evolutionists are-do these names sound familiar?-Dr Kenneth Miller and Dr Lawrence Krauss. Kenneth Miller is a rising star in the fight against creationism. When it comes to debates, evolutionists like to trot him out because, unlike sharp-tongued humanists like Richard Dawkins, Dr Miller says that he is a Christian. His suave manner and eloquent words make him “the most superficially convincing protagonist against creationism” that Dr Henry Morris has ever debated.4 Miller’s book Finding Darwin’s God: A Scientist’s Search for Common Ground between God and Evolution was a hit in many circles. Dr Krauss is a widely published author. His most recent work Atom: An Odyssey from the Big Bang to Life on Earth . . . and Beyond is being converted into a five-segment Public Broadcasting Service (PBS) national TV series. 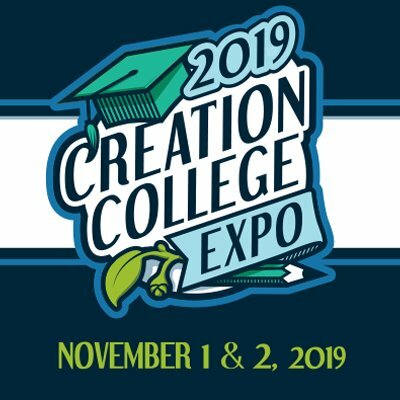 The two panelists who will defend intelligent design are Dr Stephen C. Meyer, Associate Professor of Philosophy at Whitworth College (Washington), and Dr Jonathan Wells, Senior Fellow at the Center for the Renewal of Science and Culture. Wells is the author of Icons of Evolution: Why Much of What We Teach about Evolution Is Wrong. The 11 March panel discussion will take place at the Veterans Memorial Auditorium, 300 West Broad Street, Columbus, Ohio, 8:30-11:00 am.5 The crowd is expected to be quite large, including a number of journalists. Two opposing citizens groups most likely will be there. On one side is Science Excellence for All Ohioans (SEAO), calling for “fair, reasonable, and unbiased standards.” This group has proposed a series of changes to mollify the problem areas in Ohio’s proposed science standards.6 On the other side is the recently formed group Ohio Citizens for Science (OCS), a parallel organization to Kansas Citizens for Science, which curbed the efforts to change science standards in Kansas. Critics warn that any compromise with intelligent design will convert Ohio into a backwater state, scaring away potential business and qualified scientists. This whole debate is a sad testimony about America’s departure from its Christian roots. Who would have ever imagined that giving teachers liberty to question evolution-and to offer alternatives-would generate such controversy? 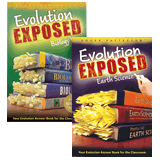 While Answers in Genesis believes that teachers should have the freedom and encouragement to critique evolution, we recognize the danger of making it compulsory for teachers to present alternative theories (imagine the potential mockery of the Biblical position). Christian teachers once had the freedom to speak openly about the true history, geology and biology proclaimed in Genesis. Now they can’t even question evolution in school. The battle to get “intelligent design” into Ohio’s standards may weaken the evolutionists” strangle-hold on public education, but it’s a far cry from giving students the true picture of two worldviews in conflict. You can read about the history of intelligent design and AiG’s views on this movement at http://www.answersingenesis.org/get-answers/topic/design-features. The official announcement of this meeting was posted by the Ohio department of education at http://www.ode.state.oh.us/news/releases/february02/2-20-02.1.asp. From notes taken by Melanie Elsie, a former reporter and educator who is now the chairman of Eagle Forum of Ohio. For detailed directions, see http://www.creationists.org/20020311OSBEmtg.html. The draft standards and the proposed modifications are listed at http://www.sciohio.org/start.htm. The American Society for Cell Biology (ASCB) sent around a notice to its members in Ohio, asking them to attend the 2 March meeting at CWRU and to “circulate it to friends, colleagues, and students.” The notice warned that “the forces of anti-evolution are afoot once again in Ohio” and so “the ASCB is trying to prevent those who would demean the value of an Ohio science education, making it more difficult to attract scientists and scientific enterprises from other parts of the world” In his speech on 2 March, Dr Krauss warned that the controversy threatened Ohio’s economic survival, pointing out that several corporations reconsidered relocating to Kansas as a result of the controversy there.